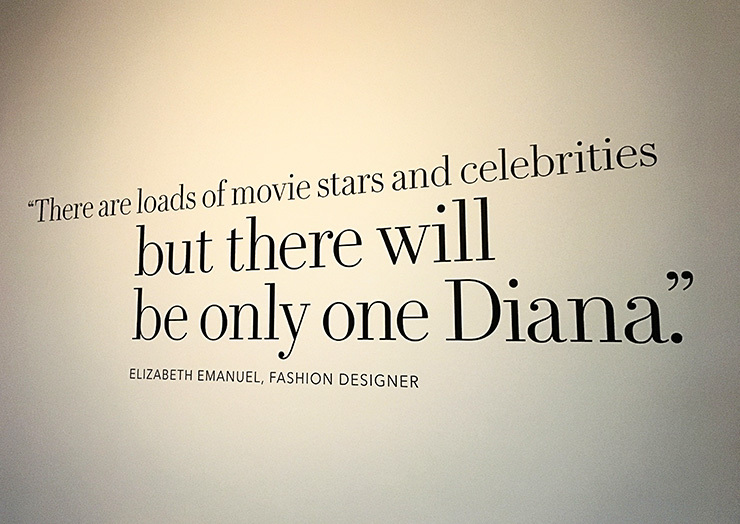 Upon entering the first room of Diana Her Fashion Story at Kensington Palace, I literally gasped. It was like stepping into a princess’s closet in a fairytale. 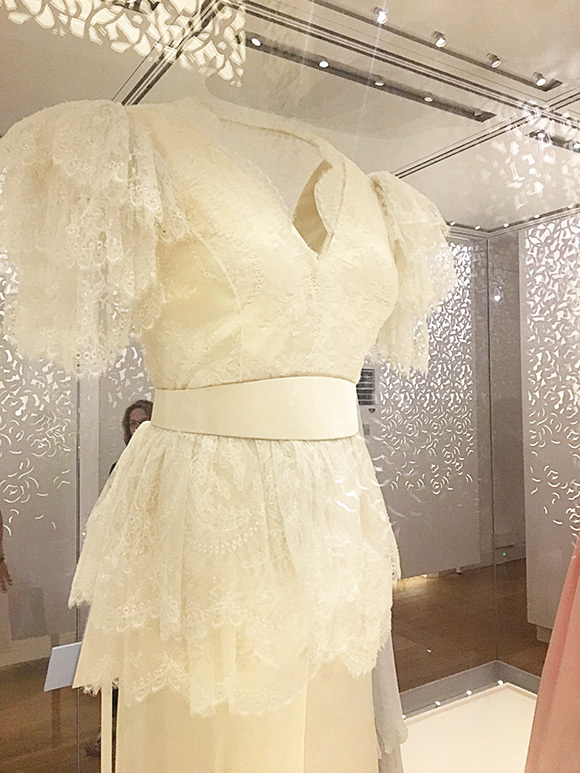 Except this wasn’t a fairytale, and these were the actual dresses worn by a real princess. 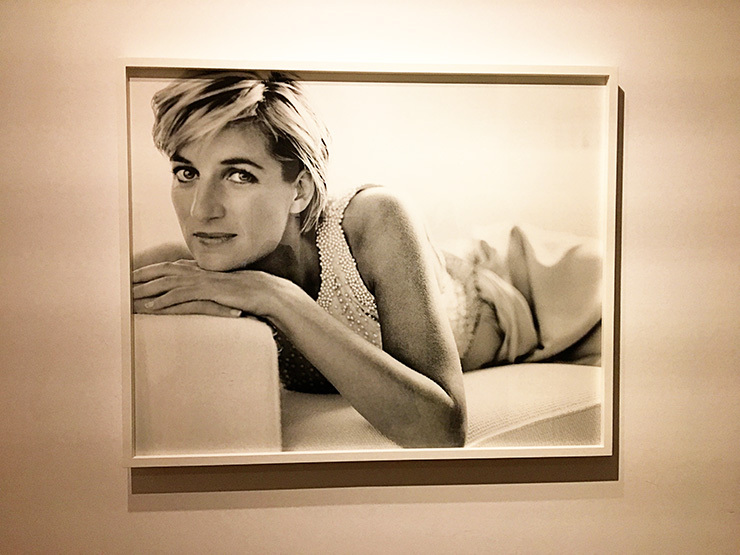 August 31st marks the 20th anniversary of Princess Diana’s tragic death. 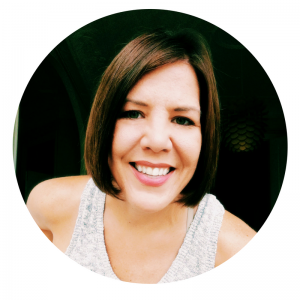 If you are like me, you’re probably thinking wow – it’s been 20 years already!? I remember her shocking death like most, but also because that following Spring I came to Europe for the first time on a study abroad program. The mourning of Princess Diana was still pretty prevalent all over Europe, and the world. While our group was in Paris we walked over the tunnel where the car accident actually took place, which still had flowers, candles and signs paying respect to the late princess. 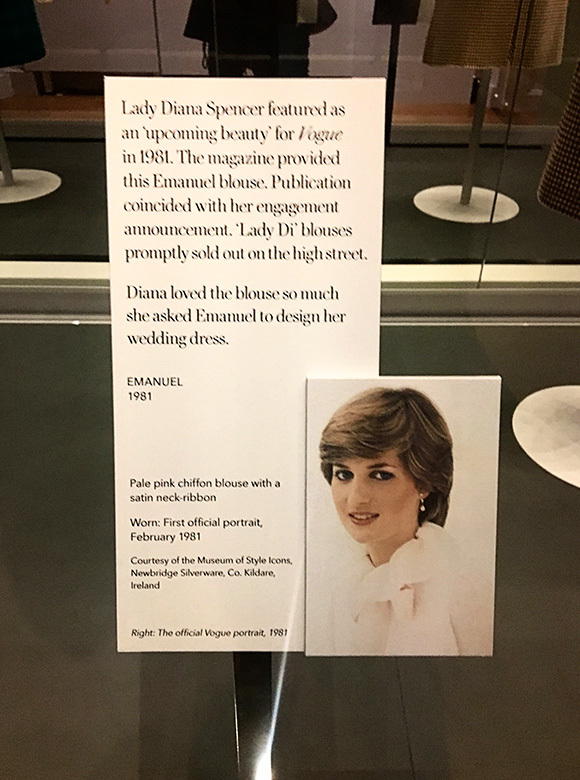 While in London for a few days I discovered that Kensington Palace was having a special exhibit to honor the Princess of Wales, Diana Her Fashion Story. I was not sure of all the details or how to even get tickets but I was certain I needed to see this. It turns out that the exhibit is included in the regular admission price when you visit Kensington Palace. I did not have a problem getting tickets mid week, but I would check online to reserve as I have heard that the weekends are selling out. 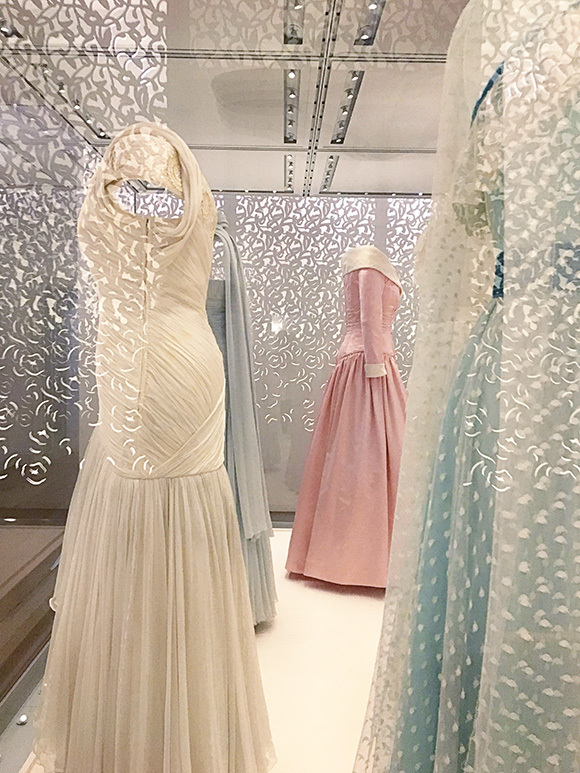 In the first room there were five of some of her most iconic dresses hanging in a clear glass case that allowed you to walk completely around admiring the stunning gowns. 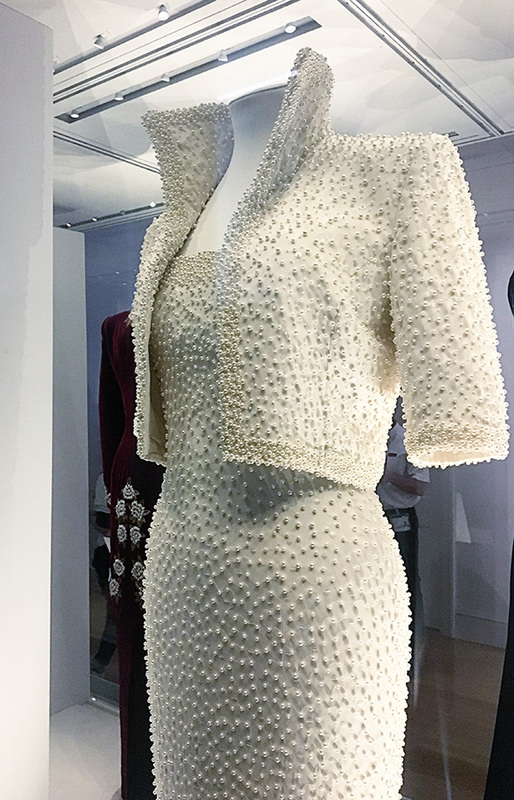 I walked around it three times, mesmerized by the design, the fabric and the elegance of it all. 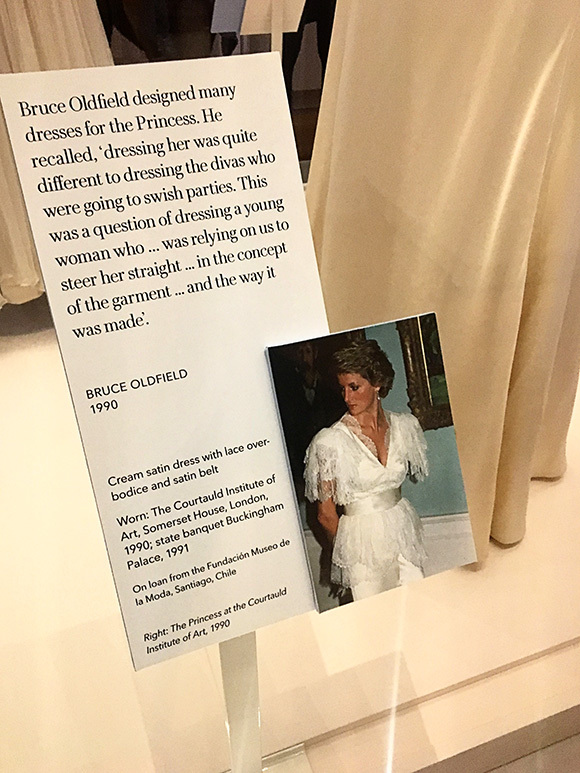 Next to each dress were small stands that had photographs of Diana wearing the gowns, the year she wore it and for what occasion. 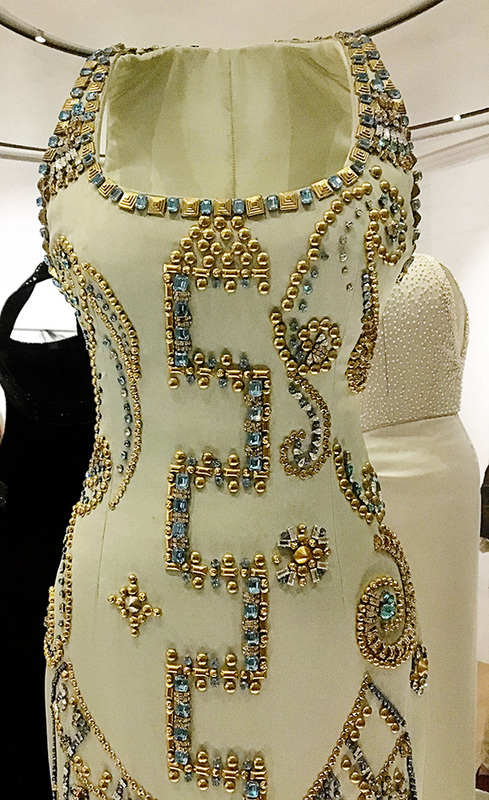 There were also special details about the design, the designer, or what she liked about the piece. The soft lighting of this first room and the unique lighting design almost made it look like lace reflecting on the glass. It was magical. 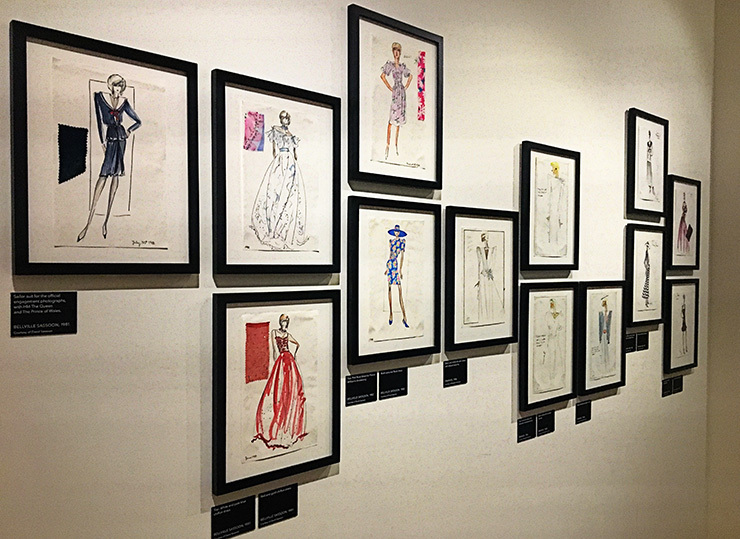 From the first room you walked through a few smaller sections, including one that had a wall of the design sketches, then onto another larger room showcasing even more of her clothing. 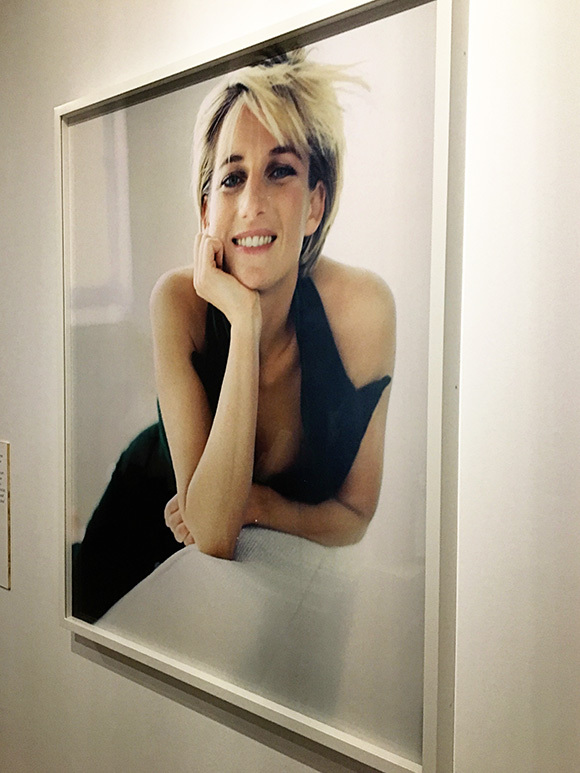 Then in the final room there was a large circular case filled with even more dresses, and all around this room were gorgeous portraits of Diana on the walls. This room actually made me a little sad, as I thought about her sons and how emotionally heartbreaking this exhibit must be for them. Simply stunning, and extremely well done. 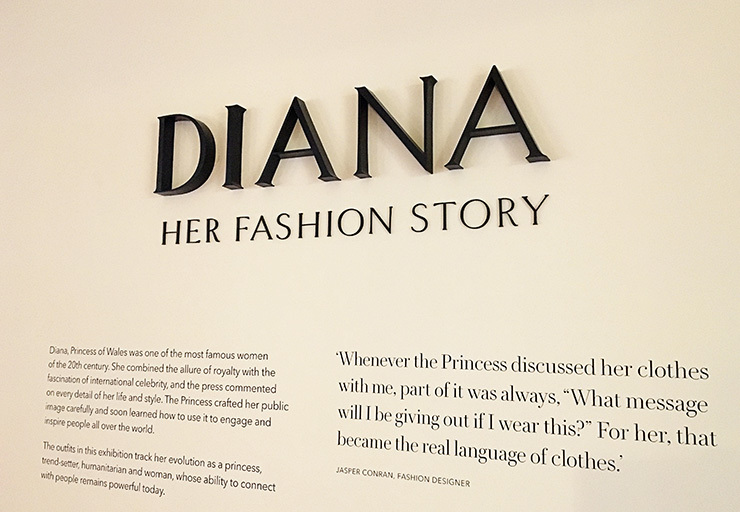 Diana Her Fashion Story is on display at Kensington Palace until February 2018, so if your travels are taking you to London I highly recommend you visit this stunning tribute to Princess Diana. Travel Tip: Try to get there right at 10:00am when they open, before the rooms start to fill up with people. I tried hard to get photos without people in the pictures but this was difficult because of the glass and and ability to walk all the way around the cases.